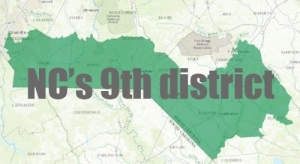 Be sure to check out a couple of fine editorials published in the aftermath of last week’s State Board of Elections ruling ordering a new election in the 9th congressional district. Both make a strong case that last week’s ruling needs to be just the first step in a reform process designed to attack absentee ballot fraud. It stands to reason that there is not widespread absentee ballot fraud in other counties because complaints would have been lodged. But North Carolinians deserve more assurance than that. Are there robust systems in place to ensure there is no fraud? Are boards of elections and district attorneys and U.S. attorneys vigilant enough? The end of the state elections board’s hearing should not mark the end of this case. Wake County District Attorney Lorrin Freeman, who has been investigating Bladen County’s role in the 2016 election and in the 2018 primary, should file criminal charges against anyone who committed a felony. Among those she should look at are McCrae Dowless, the Bladen County operative who orchestrated the scheme and his stepdaughter, Lisa Britt, who confessed to likely crimes under oath during the state board’s hearing. Harris himself admitted to misstating facts under oath and to potentially violating campaign finance law. Freeman told the News & Observer’s Ned Barnett on Friday that her investigation will expand to include the 2018 general election. It did in this case. Now let’s make sure it does all of the time. The testimony last week, capped by Harris’ own announcement that he believed a new election is necessary, was a blow to the state Republican Party, which has pushed aggressively to have Harris seated in Congress, all the while insisting that there was no evidence indicating enough ballot fraud to reverse the results of the race. While party leaders began their defense with sober acceptance of the situation’s gravity, that approach soon yielded to shrill demands that in retrospect pin a hypocritical label on the party and its leadership. So do the actions of Robert Higdon Jr., the U.S. Attorney for the Eastern District of North Carolina. The State Board of Elections had requested that Higdon’s office investigate allegations of similar wrongdoing in the 2016 election and had sent significant evidence of voting fraud. Higdon appears to have taken no action, pursuing instead a broader probe of whether illegal immigrants voted in 2016. He subpoenaed millions of voter records in a dragnet that so far has produced no significant results. It appears that the Justice Department take on voter fraud has been thoroughly politicized. This case is likely to affect voter confidence in the government oversight of our elections. Higdon has some damage to repair too…. This is not the first time we’ve seen allegations of voter fraud or other irregularities get reported, sometimes get investigated but never get prosecuted. District attorneys, who are part of the local political fabric themselves, are reticent about taking politically charged cases. And now it appears that at least one U.S. Attorney’s office is equally reticent if the evidence doesn’t point to the other party. That leaves an enforcement vacuum for the state board. While the Wake County District Attorney’s office is working with the state board, that may not be a perfect solution either. The state needs to develop a mechanism for responding to fraud allegations that includes an effective way to prosecute wrongdoers regardless of their political affiliation. A “good” outcome for the 9th is a new election. A “better” outcome would have been, no do-over, declare McCready the winner; indictments of Dowless and his henchpersons; and charges against Harris for lying under oath. “Best” outcome: on top of that, Harris’s church takes away his pulpit and excommunicates him (or whatever may be his denomination’s punishment) for fraudulent clerical behavior. Thr Republicans are being rewarded for cheating. Elections are costly and redo elections punish everyone for actions of a few. Mc Cready should have been named the winner since criminal behavior was involved with Harris. Cheaters should loose or pay total cost for new election.